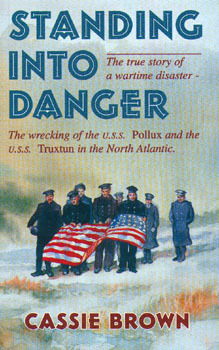 In the snowy predawn of February 18, 1942, a convoy of three American ships zigzagged up the North Atlantic toward Newfoundland, heading for one of the worst disasters in naval history. The ships were under radio silence to protect them from German U-boats. A storm was raging, visibility was zero, and they had only unreliable soundings to guide them across the jagged ocean floor. Two hundred & three sailors died as the Wilkes, the Pollux and the Truxton were battered against the icy Newfoundland shores. And those who survived would return home to receive not a hero's welcome, but the harsh interrogation of their naval superiors.